Is six seconds enough time to tell a story with online video? Surprisingly, the answer is yes. 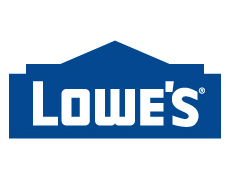 Home improvement store Lowe’s is using the social networking platform Vine to create a viral video success. But Vine isn’t the only social networking tool in the Lowe’s toolbox. The Lowe’s campaign is called Fix in Six, and it combines truly helpful home tips that can be related in six seconds with playful stop-motion animation that’s perfect for Vine. Lowe’s Fix in Six tips include using a rubber band to turn a stripped screw and using plumber’s tape to mark out where pictures will be hanged before pounding any nails. The person behind this campaign, and all of Lowe’s social networking efforts, is Brad Walters, director of social media and emerging platforms for the company. When Vine launched, he saw other companies experiment with it, but wasn’t impressed with what they were doing. They might shoot a quick view of their office, perhaps, or six seconds of people walking by outside. The answer was to experiment with content that Lowe’s already knew worked, and that could be told in a six-second looping video. Prior to working with Vine, Lowe’s ran a campaign on Facebook called Shareable Solutions, which offered illustrated “life hacks” -- solutions that gave people an a-ha moment. These tips drew a strong response on Facebook, and Walters’ team believed they would do just as well on Vine. With the idea decided, Lowe’s needed a look. Rather than creating simple videos in-house, Walters chose to work with someone already turning out strong Vine videos. BBDO, the advertising agency Lowe’s uses, scouted out Meagan Cignoli, an animator and former fashion photographer known for her stop-motion work. Walters was happy to leave the look of the videos to Cignoli, who brought a playful creativity to the project. Most videos were shot at a studio in BBDO’s New York City office, although some were shot on location. The Fix in Six campaign got a strong reaction from the start. Some Lowe’s Vines are more complex than others. While the stripped screwdriver meets rubber band video was sparse, a video about keeping rodents and squirrels out of the garden involved a puppet squirrel, clouds, and props on a miniature set. And that doesn’t include all the time spent between Lowe’s and Cignoli creating and developing the ideas. That sounds like a lot of work for six seconds of video. Lowe’s Fix in Six uses Vine videos to share home tips, such as how to use a rubber band to turn a stripped screw, in six seconds each. As of this writing, there have been over 50 videos in the Fix in Six campaign. Once the last one posted in January -- on creating a ribbon organizer with a coat hanger -- Walters decided to give the campaign a breather. While Vine's audience wasn't large, it was passionate. The death of the six-second video network leaves a surprisingly large hole in social media. Ocho offers a new take on video social networking, thanks to a lean-back experience and a partnership with Vice Sports. Big companies are getting smart about short videos. Use these platforms to break through the noise and communicate with fans. Short-form online video isn't just a promotional tool, marketers find. It's also a way to engage and interact with the viewer. These two social video platforms haven't just attracted millions of users, they've also attracted brands looking for new ways to engage shoppers. Brands such as Trident Gum, Taco Bell, and Rolling Stone are embracing Vine, which does for video what Twitter did for blogging.